December 3, 2018 Updated with the official specs, pricing and release timing. The Nvidia RTX Titan has been officially unveiled as the ‘Ultimate PC GPU’ after a set of clearly coordinated leaks on social media over the weekend, with Linus Tech Tips, JayzTwoCents, and Google Brain, Andrew Ng, all showing off either the hardware itself or the Titan-white packaging with the RTX stamp on it. Linus featured the box a couple of times during a video at the weekend, Jayz responded to subsequent jibes about where his Nvidia Titan RTX was with an image post, and the not-so-subtle tweet from Ng is masquerading as a recruitment post after talking about trying some new hardware to reduce inference time. From all that we could infer the Nvidia Turing-based Titan RTX was done and dusted and waiting for its final release. And after all these ‘leaks’ over the last couple of days we were pretty sure it was imminent too. And so it has come to pass, with Nvidia announcing availability in later in December with a $2,499 (£2,399) price tag. Happy Christmas, eh? And if you’ve been really good this year maybe Santa will drop a little Titan RTX love your way this Christmas. If not you’re going to have to pay the big bucks like the rest of us. With the RTX 2080 Ti coming in at the previous Titan-level $1,200 price, it was pretty obvious this new Turing card was going to be significantly more than that. 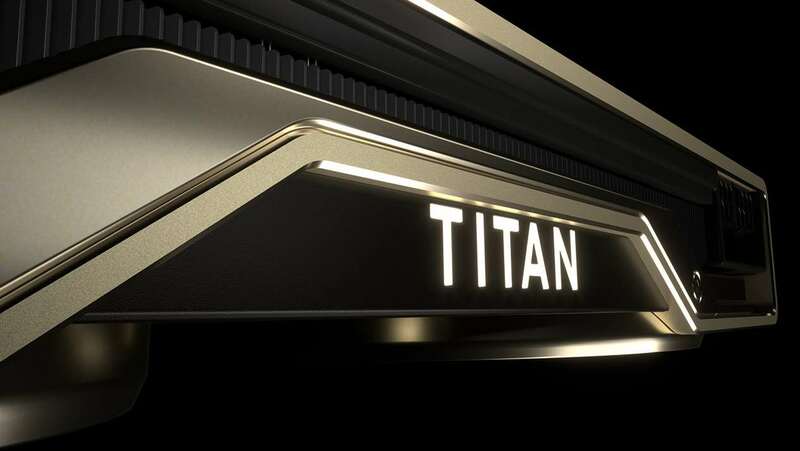 With the Volta-powered Titan V coming in at $3,000 this time last year, it makes sense for Nvidia to choose the same launch window for the Titan RTX. Though it is something of a surprise to see the card below the $3,000 mark, especially given that it’s going to be rocking the most powerful Turing GPU available to the professional cards. 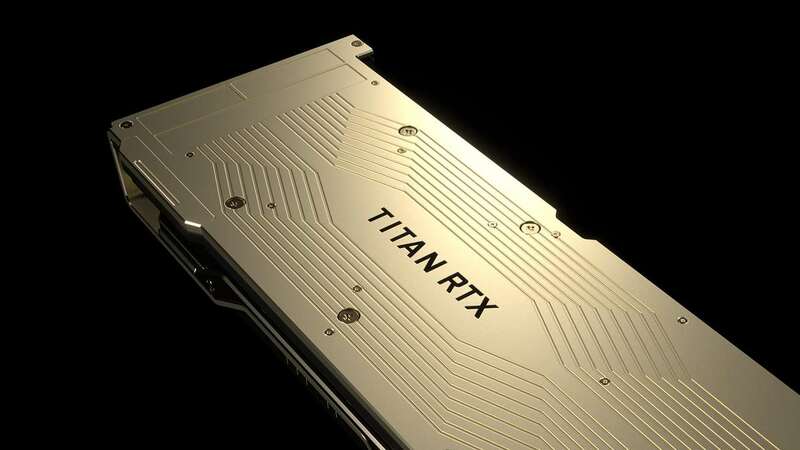 So what’s going to be inside the gold-plated Titan RTX? With the RTX 2080 Ti already using the same TU102 GPU as the two big-boy Turing Quadro, it uses the same full-fat GPU. That means it’s sporting the same 4,608 CUDA cores of both the Quadro RTX 6000 and Quadro RTX 8000, but with the 24GB GDDR6 memory of the former, not the 48GB of the latter. Which means it could be considered a bargain… The RTX 6000, with 24GB of video memory, costs around $6,000, and that would make the RTX Titan less than half the price of the second-tier professional card. And if a Google Brain is talking about it for inferencing then there will be pro-level support out there for the scientific community if they want to grab themselves a Titan rather than a Quadro. For us gamers though it’s not really that relevant. Got three grand to drop on a new graphics card? Then you’re not really worried about how it performs in games, you’ll just be drawn to its solid gold looks. Sure, it’ll be the fastest gaming GPU on the planet, but given how close the Titan and the Ti version of that GPU historically are, I think you’ll be doing alright with an RTX 2080 Ti for the time being if you’re at all concerned about the price/performance ratios. 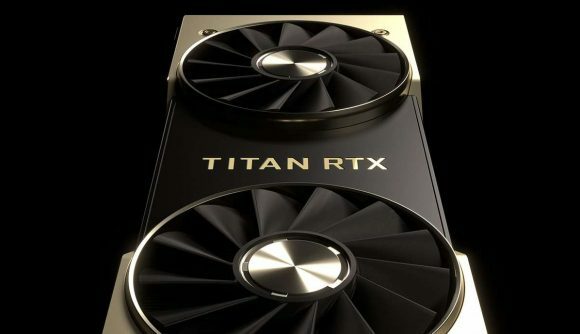 In general gaming frame rate terms the Titan RTX is probably only going to be a few percentage points ahead of the RTX 2080 Ti, and that’s going to make it tough to recommend for gamers. Still, if you have to have the absolute best, and hang the sense of it, then the Titan RTX will be your go-to ‘fastest gaming GPU on the planet’ purchase. You mad fool.